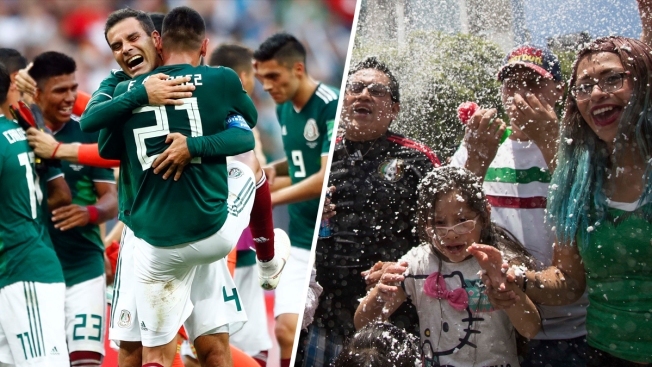 Mexico's National Seismological Service says there was seismic activity around the country's capital Sunday, but it wasn't linked to soccer fans celebrating their country's game-winning goal vs. Germany at the World Cup. The service says in a report that there were two small earthquakes at 10:24 a.m. and 12:01 p.m. The goal came around 11:35 a.m. local time. A geological institute reported Sunday that seismic detectors had registered a false earthquake that may have been generated by "massive jumps" by fans. Mexico's Seismological Service explained Monday that the city's normal bustle of traffic and other movement causes vibrations that are detected by sensitive instruments. 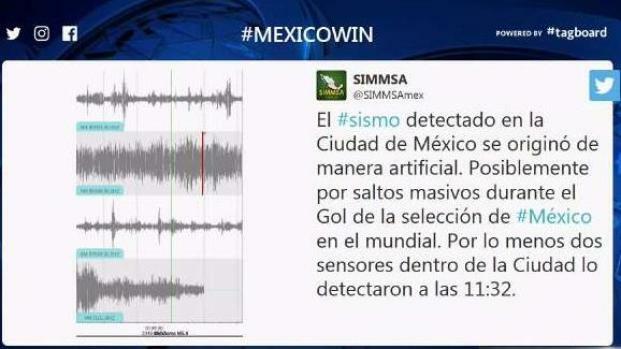 An artificial earthquake was detected in Mexico Sunday at almost the same moment the country won a highly anticipated match in the 2018 FIFA World Cup - possibly due to excitement in the area. It says those vibrations notably quieted during the match as people gathered in front of TVs to watch, and rose after the goal.